The Great Passion Play performances begin again in the first weekend in May and run through the last weekend of October. The Christ of the Ozarks, Bible Museum, and gift shops are open year-round. New in 2017 is the Noah’s Ark Park. At the beginning of the Holy Land Tour area, this will be a great way for children and families to interact with animals. Also at the beginning of the Holy Land Tour, this new feature provides guests with the opportunity to interact with period Biblical craftspeople. 238 youth mission trippers volunteered for the Great Passion Play in June and July of 2016. The total was over 500 people. This year, the Great Passion Play is welcoming mission trip groups to stay and help! Through the Holy Land Tour area, there are now 2.3 miles of trails that allow you to experience the beauty of the Ozarks alongside Biblical recreations of the Holy Land. 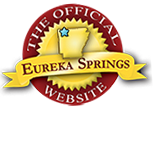 This entry was posted on March 31, 2017 by service424 in Arts & Culture, Attractions, Family Fun, Road trips, Things to Do and tagged Bible Museum, Christ of the Ozarks, Eureka Springs, Great Passion Play, Passion Play, photography, zoo.